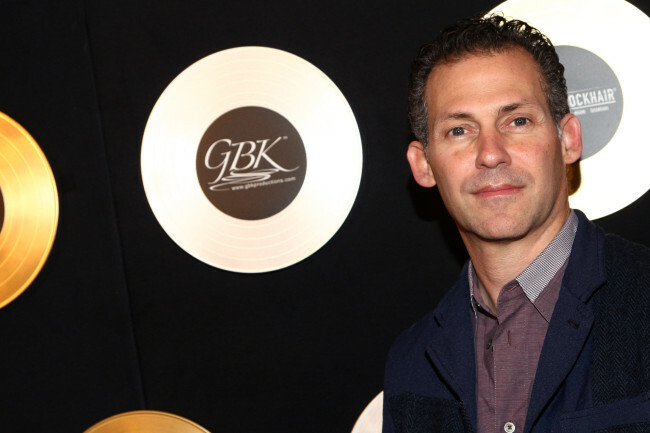 Here’s a write up of a pre-Grammy event SpyGame Studios covered for our friends at GBK. 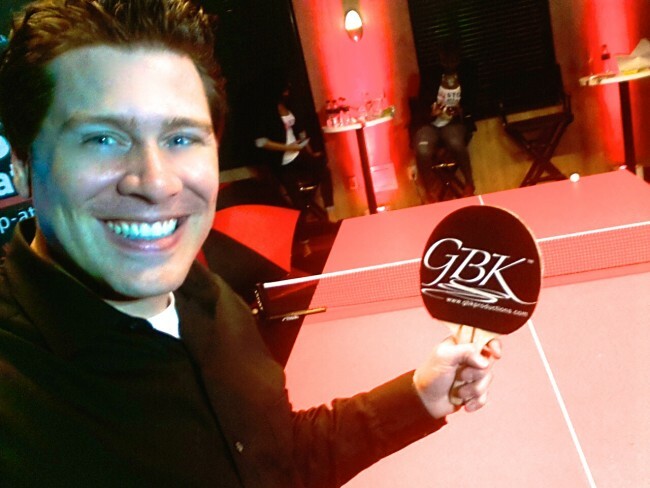 GBK (gbkproductions.com) – the celebrity gift lounge and special events company, hosted their signature gifting lounge on February 7th at SPiN STANDARD, LA’s first professional ping-pong club, located at The Standard, Downtown L.A. Guests enjoyed food and fundraising with a twist as professional Tennis Table Champion, Soo Yeon Lee, went up against celebrities for a charity match. 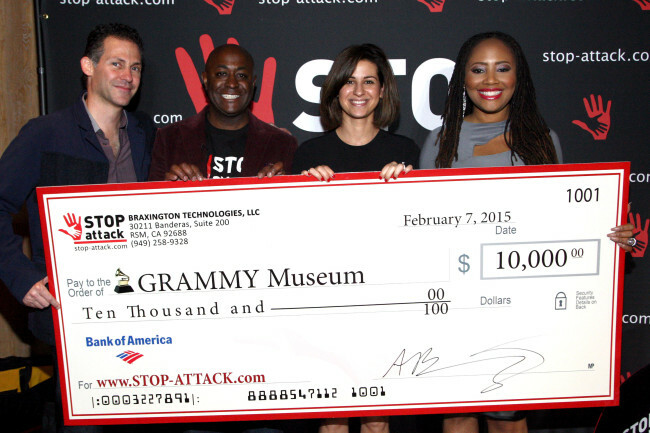 Each celebrity that scored a point against Soo Yeon Lee earned $1,000 for The GRAMMY Museum, donated by Presenting Sponsor – STOP-ATTACK.com. STOP-ATTACK.com is an assault-response application (app) and service for IOS and Android mobile devices. Designed to be easy to use, quick to activate and reliable, the app is an invaluable personal protection resource. Tap … record, get help, take control. Also contributing to the charitable theme, Celebvidy, an application that provides celebrities the premiere platform to produce and monetize “video selfies”, on-demand, for their fans, donated $100 to The GRAMMY Museum for every celebrity that registered with their service. 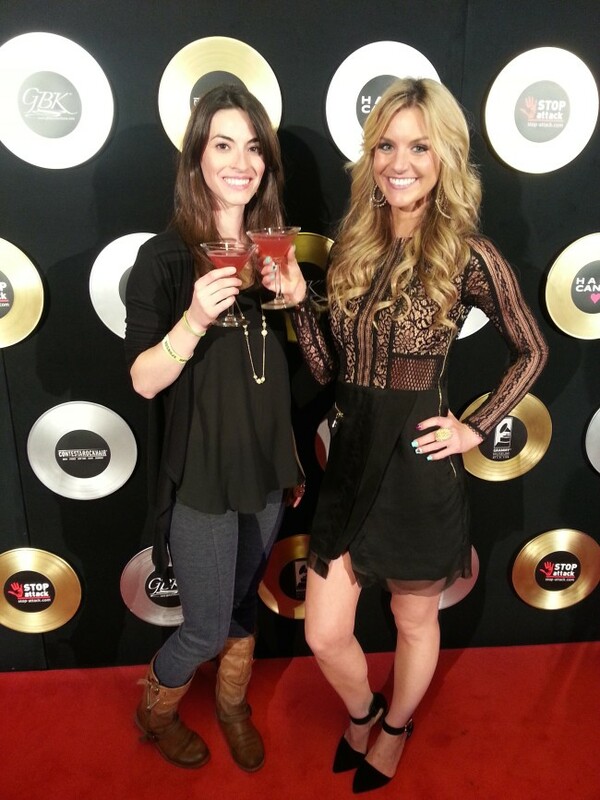 Between the two sponsors, a total of $13,000 was raised for GRAMMY Museum. 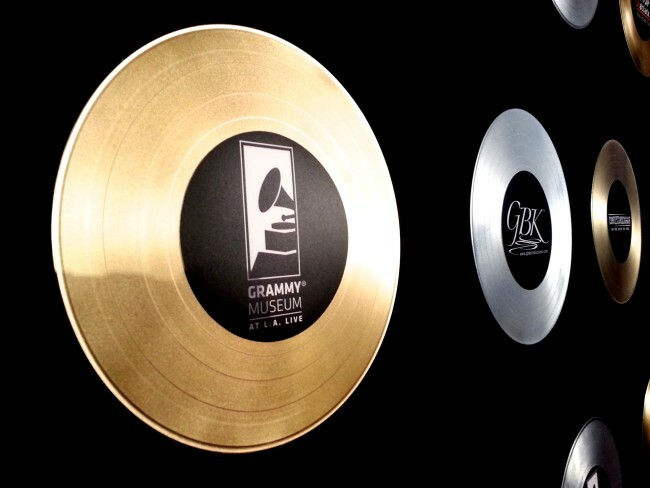 The money will be used by GRAMMY Museum to support their unique hands-on music education programs which serves 25,000 students and teachers every year. For more information on The GRAMMY Museum, please visit grammymuseum.org. In addition to The GRAMMY Museum, Alfalit International was also featured as a charity beneficiary for the event. Alfalit International (alfalitInternational.org) is a non-profit organization that provides literacy programs for the underserved in the US and internationally. Their vision is to eliminate human suffering caused by illiteracy. 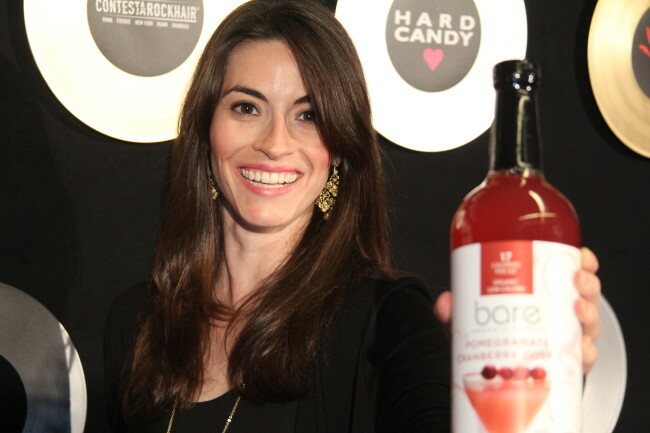 GBK featured two additional Presenting Sponsors including: Hard Candy, who was on site gifting a selection of full size Hard Candy products from the core collection available only at Walmart and walmart.com; and Contesta Rock Hair, a global salon founded in Italy, who was gifting 100% Italian made Contesta Rock Hair Products. Both sponsors offered beauty services during the event and treated the guests to hair, make-up and nail styling. Always a highlight of GBK events, the lounge featured an exciting get-a-way, compliments of Crystal Cruises. Guests received the “China in Depth”, all-inclusive cruise from Hong Kong to Beijing. This 10-day cruise in a deluxe stateroom veranda aboard the award-winning Crystal Symphony is valued at over $11,000 for two guests. It features double overnights in Hong Kong and Shanghai to explore the historical and scenic sections of these cities. On the health and beauty front, guests enjoyed gifts from: Dr. Jamie Sands – Cosmetic Dentist, gifting a comprehensive dental exam and an in-office professional teeth whitening; bath and body products from Milena’s Boutique; Tweezerman who was gifting a grooming kit for men and their slant tweezer and makeup brush for women; Naturade – a health and wellness supplements company – gifting Vegan Smart shakes and shakers; Beauty Kitchen by Heather Marianna, providing skin polish, hand cut soap bars and natural spa products; Whole Body Cryotherapy gift certificates from Cryohealthcare; 3 personal training sessions with Celebrity Trainer Lalo Fuentes, CSCS; eco-friendly handmade accessories from Lula Mena; JH Design Group, gifting custom official team jackets from MLB, NBA, NHL, NASCAR; and gift certificates and apparel from Le Jolie, an exclusive online boutique uniting shoppers with their favorite designer brands up to 70% off retail price; and Eco-Chic silicone handbag and accessories from Pisidia USA. Other unique gifts included: ActiveOn Camera – an incredible versatile personal performance video camera with high performance to capture all your action; the Clio™ wireless Bluetooth speaker from ClearView™ Audio; 1,000 puff Cuban, vanilla, chocolate and peach eCigars from Citizen eCig; and The 808 Performer BT, a Studio quality wireless Bluetooth headphone, from 808 Audio. Refreshments were provided by: Le Medaillon Champagne – classic French champagne created for the affluent consumer aged for 30 months rather than the typical 17 months; Jeju 16 Water, water naturally purified through sixteen layers of volcanic bedrock off the coast of South Korea; a variety of gourmet, premium hand-crafted brown butter cookies from Celebrity Chef Scott Fischer and Fisch and Chips; Bare Organic Mixers – a certified organic, low calorie mixer that is perfect for your favorite cocktails; and Nuvino Wine – creative, award winning and innovative single serve wine available in 4 varietals from 4 great regions.